1 Lema K, Blamont M. Philippines to charge officials of Sanofi, government over dengue vaccine. Reuters Mar. 1, 2019. 2 CNN Philippines Staff. DOJ finds probable cause to charge Garin, others with reckless imprudence over Dengvaxia mess. CNN Mar. 2, 2019. 3 TVR Staff. Dengvaxia Vaccine Raises Risk of Severe Dengue Infection. The Vaccine Reaction June 28, 2018. 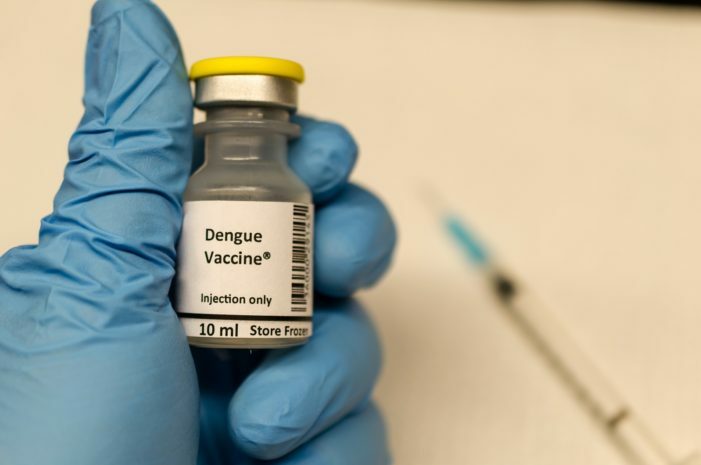 16 Responses to "Philippines to Charge Sanofi, Public Health Officials for Dengue Vaccine Deaths"
It is outrageous to think that the Phillipines [of all places] is looking after its citizens more diligently than the U.S. is! It may be because the US has given total immunity to the vaccine makers and doctors who administer the vaccines. Our bad. It’s about time we repeal that poorly thought out concession. Six years in prison ? They should be hung….or better yet….let’s vaccinate them !!! They should be charged with murder. Maybe that will wake everyone up. Profits, not children, are the priority in the USA. Remember “every child by two, as far back as the Carters, who tot this day are urging Zuckerburg to censor “misinformation” about vaccines. My niece is one who got it, and now suffers cronic pain in her joints at 12 yrs old. At present, almost half of these vaccinated children are already dead!.. Others were paid to keep their silent by Dept. of Health led by a former ally of Aquino. Only those who did not agreed to be paid went t9 Public Attorneys Office (PAO) to seek justice. You can google all of these unfortunate event under Philippine PAO’s website! If it is true that they have discovered the adverse effects of the vaccine, why they still gave it to our children August 22, 2017??? My daughter became sickly since she received the vàccine.. The toxicity that your niece is experiencing can most likely be reversed through detoxification and diet. Intravenous chelation therapy can help pull out heavy metals that were injected by the vaccine.. Foods like parsley, cilantro and Sun Clorella will also help chelate. A healthy, organic diet and anti-inflammatory food will help her joints. She should avoid all nightshades vegetables. I have never seen such ignorance. Vaccines do more good than harm. Time and time again, people overreact about the side affects. The chances of a severe reaction like this are minuscule. Stop spreading lies! Vaccines were never meant for good, and they’ve only become MORE toxic and lethal through the years. Do you REALLY want to be injected with aluminum, mercury, FORMALDEHYDE, genetically-engineered bacteria, FUNGI, budding yeasts, parasites, animal blood/DNA, aborted fetal tissue, Polysorbate, various antibiotics, chemicals, etc.? You need to read a few package inserts and also note the exponential increase in the number of mandatory vaccines. The number of IUFD(intra-uterine fetal deaths), stillbirths, SIDS, miscarriages, chronic diseases, “autoimmune” diseases, autism, and overall “poor health” has increased in proportion to the massive number of vaccines being mandated by the UN/WHO. Do some research and THINK! Vaccines save countless lives every year, they save more then they harm. Get off google and talk to a local GP or doctor and they will tell you the same thing. All these toxic things about vaccines don’t exist. You are simply exaggerating what you have been told by other anti vaxxers. Instead of believing everything on the internet, talk to a professional who will be able to debunk any worries you have. Oh, and name one credible source that links autism to vaccines. Ill wait. the ignorance is yours I’m afraid. Jacob take your own advice and research. You don’t need Google just go to the cdc website. Look at the ingredients. Look at the manufacturers insert for a list of side effects. If you want to know how ‘rare’ they are, again cdc. Look at their list of reported injuries. Don’t bother asking your gp cause they haven’t bothered to research either! They just repeat the info they’re given by the pro vaxxers. Here is what you give. Here is when you give it. Oh, and let’s not forget… Vaccines are Safe and effective.. Now quit asking questions and roll up your sleeve!